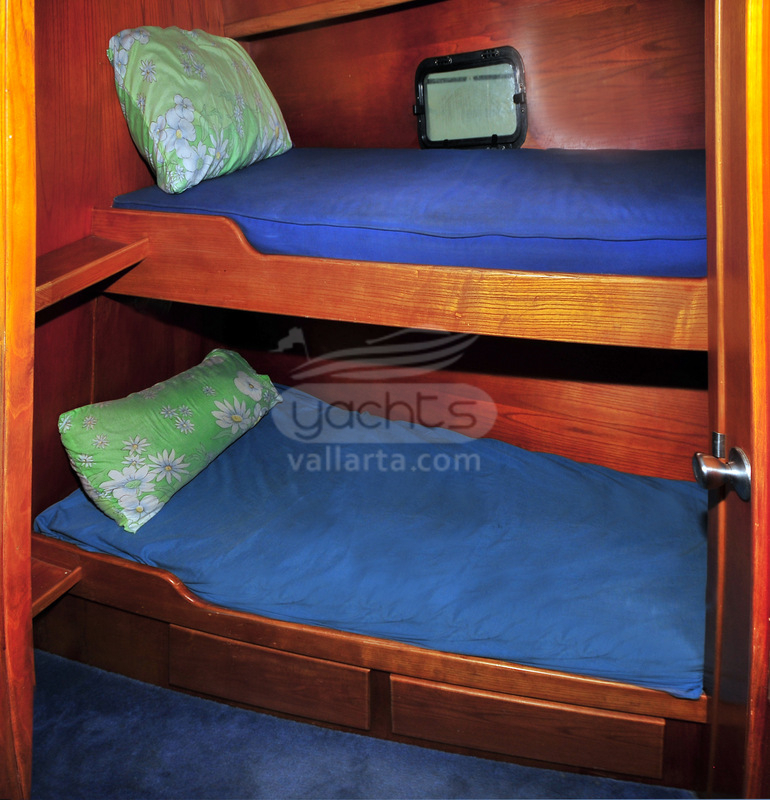 Holds up to 10 anglers and up to 14 pax on Cruising trips. 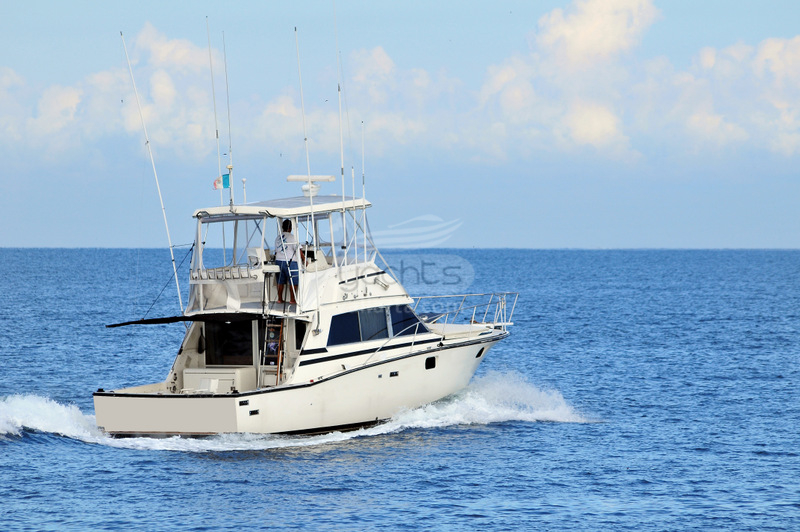 Powered by Twin 315hp Diesel Engines, cruises at 14 knots. 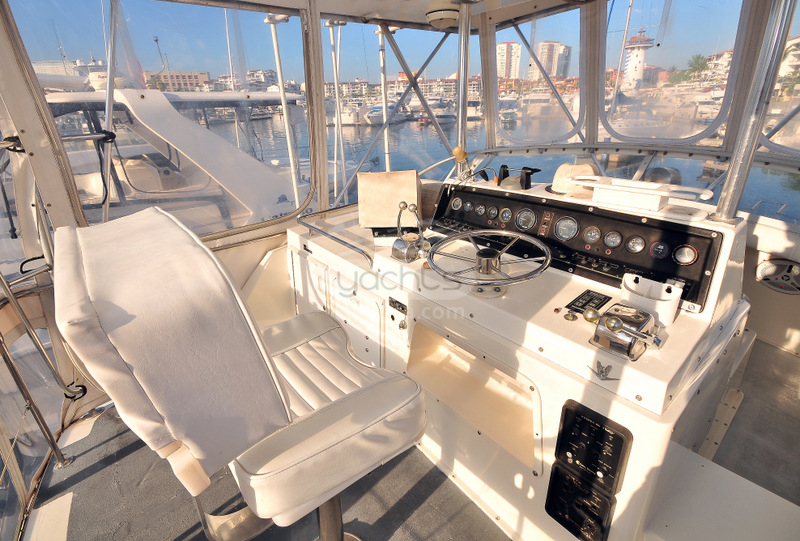 Full Electronics: Radar, GPS, Depth Sounder, VHF radio and Stereo w/ IPod plug. 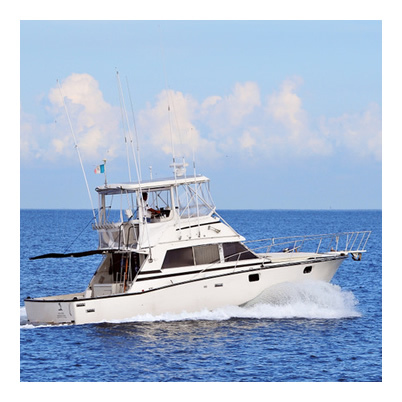 2 Outriggers and Tuna tubes. 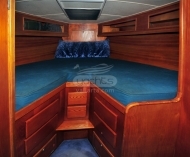 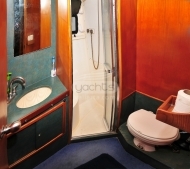 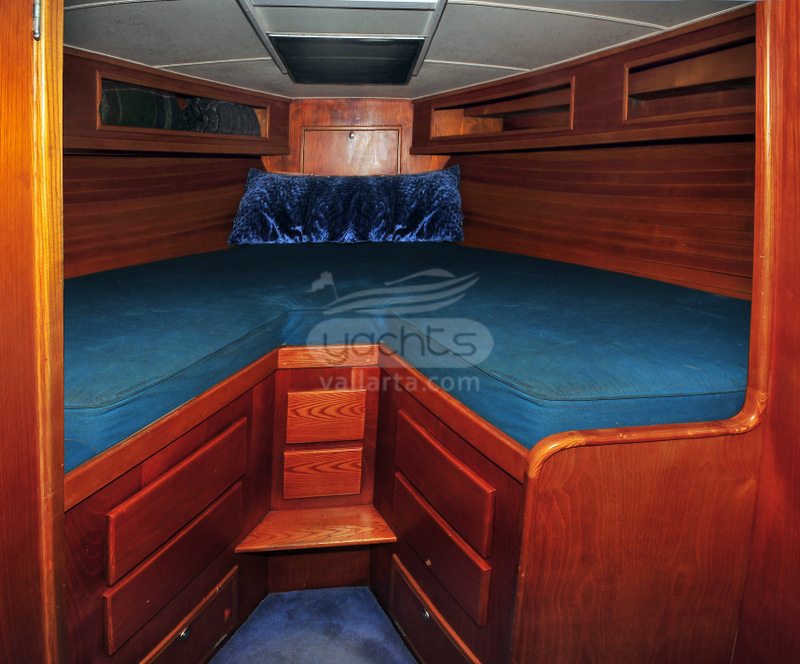 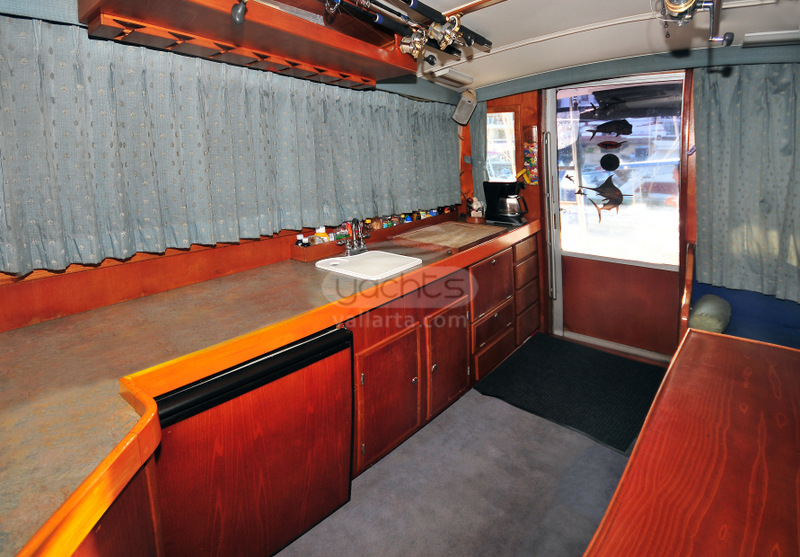 A/C Convertible Cabin with Fly bridge, Stateroom and crew cabin w/ full Bath. 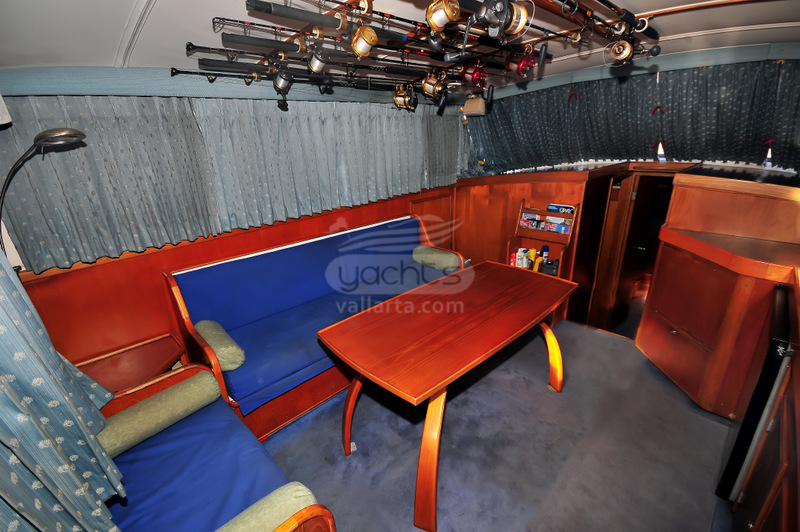 Bertram is one of the best Boat Makers. 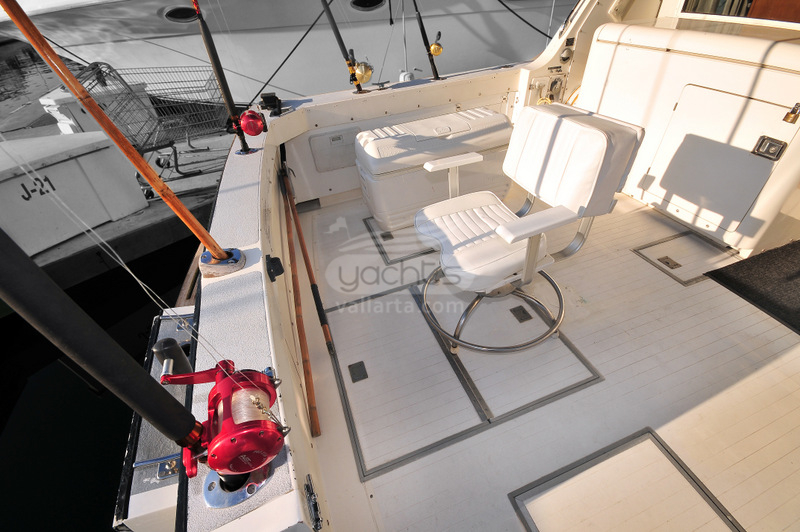 Fishing Area w/ fighting chair & Wide Bow for Sunbathing. 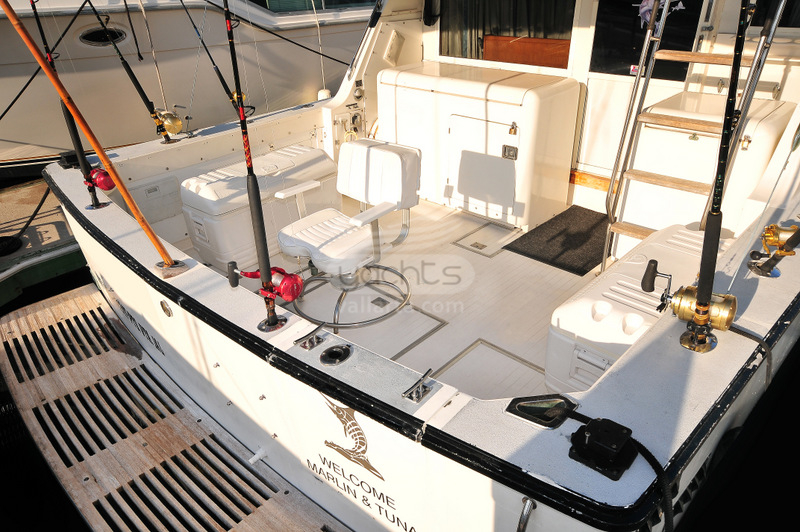 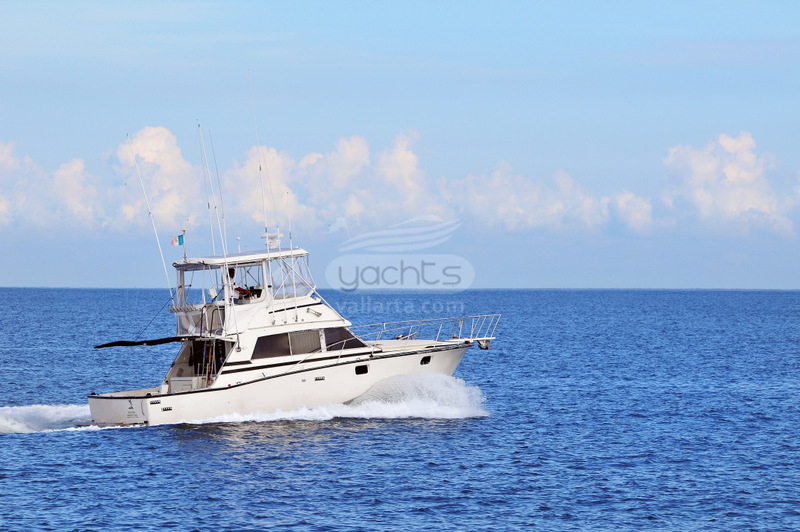 A Fishing Machine Crewed by Puerto Vallarta Legacy Anglers.